KIEV, Ukraine -- Thousands of protesters from across Ukraine led by three opposition parties are expected to descend on Kiev for a rally on Saturday and may clash with pro-government demonstrators. The rally is supposed to be a culmination of a two-month protest campaign that has been aimed at energizing voters throughout Ukraine. It is intended to show the strength of the opposition ahead of presidential election in March 2015. The opposition parties are expected to pledge to work closely in order to defeat President Viktor Yanukovych and his party, and may announce names of single candidates running for upcoming elections. But the long-planned rally was suddenly changed on Thursday and may now include a march of thousands of protesters to the administration of Yanukovych and the government’s offices. This may lead to a confrontation with thousands of demonstrators that are called by the ruling Regions Party for an “anti-fascist march” on the same day. “They told us that Khreshchatyk street will be closed,” Arseniy Yatseniuk, the leader of the Batkivshchyna party, said. The demonstrators, mostly government and government-funded school and hospital workers and students, are expected to be transported to the march from across Ukraine. 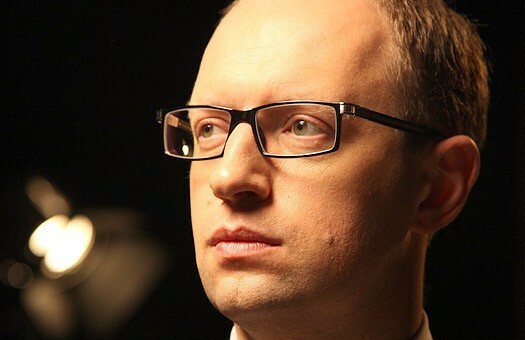 Yatseniuk said if the two crowds appear to face each other, the opposition will try to convince them to join the protest rally against the government. “We really want to see these people,” Yatseniuk said. Olena Bondarenko, a member of the ruling Regions Party, slammed the plan. “This is a provocation intended to intersect with our rally and make some destructive and immoral actions,” Bondarenko said. Volodymyr Horkovenko, a Kiev resident who plans to join the protest rally, said he hopes the opposition groups will present a clear plan how to defeat Yanukovych and will nominate a single candidate at the rally. “They promised to do this. Now, it’s time to deliver on the promise,” Horkovenko said.